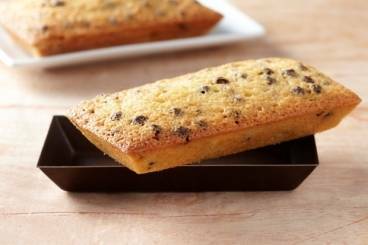 Financiers are a type of cake which use egg whites, buerre noisette (brown butter), sugar and flour. They are often baked in shaped moulds and served with fruits or ice cream. 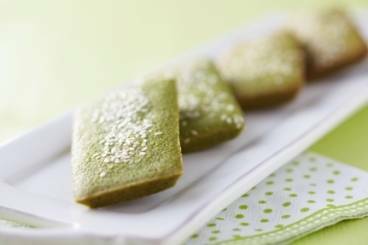 Delicate French pastries made with ground almonds and scented with Japanese green tea. French Financier cakes made with ground pistachios, almonds and confit orange zest. Soft, melt-in-the-mouth financiers marbled with chocolate sprinkles and served with chocolate sauce. Delicious little French sponge cakes made with almond powder and served with a divine caramel made with salted butter. Delicious French pastries made with ground almond and dark chocolate chips. Delicate almond cakes spiced with ginger and served with caramelised pears and Greek yogurt. Flavoursome cakes infused with delicious nutty tastes and covered in orange syrup. Small and delicate French pastries made with ground pistachios and almonds - perfect served with coffee as an after dinner treat! Light and delicious French cakes made with ground almonds, beurre noisette and cacao nibs.